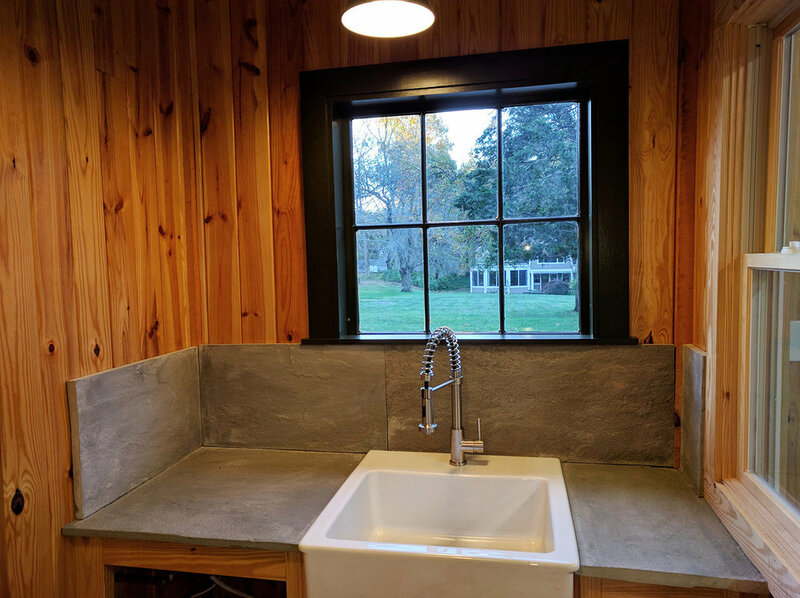 Our client was inspired by seeing the conversion of her next door neighbor's barn and wanted a place for her horses at home. Both barns happened to be kit barns from the same manufacturer. The conversion consisted of adding a section of barn on to the back of the existing one. It presented a design challenge to make it look consistent with the existing structure. We removed the back roof and added a section large enough to park a tractor, and/or use as a shop space. We matched the style of post and beam used by the kit manufacturer when building the new structure. 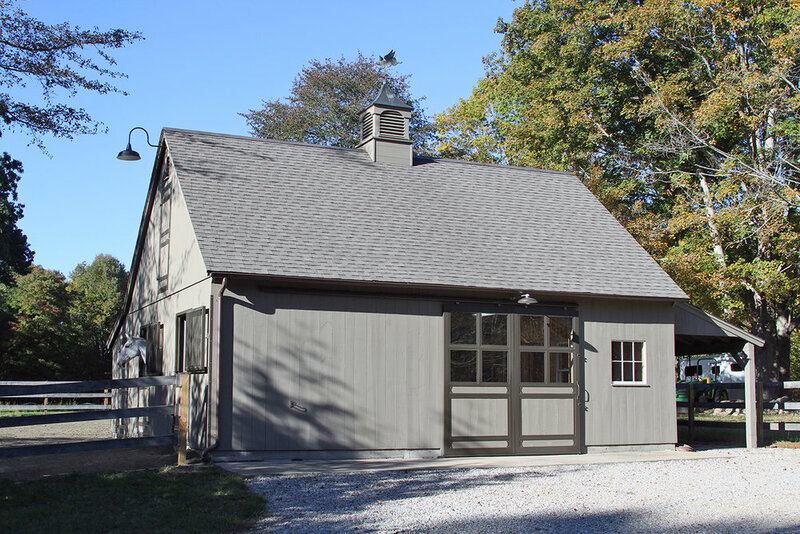 We also partitioned the structure to house two horse stalls, and a tack room. On the exterior we converted the roof overhang to a horse showering area and had the paddock installed. The inside of the barn was lined with inch and a half thick southern yellow pine that will take the abuse of any horse. 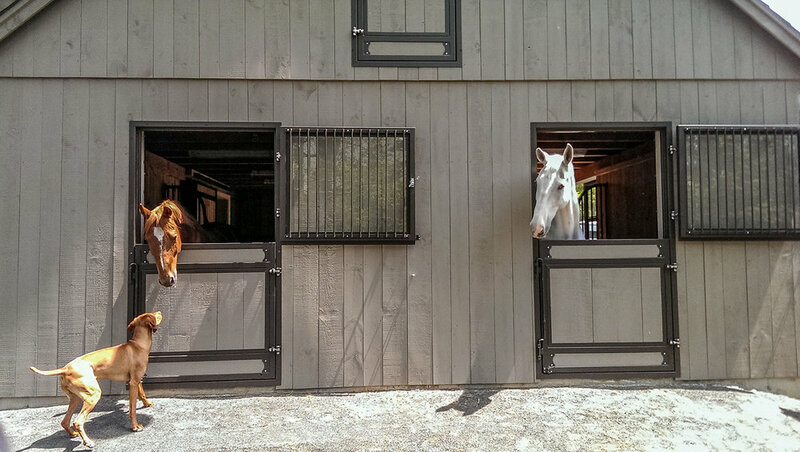 The barn is now home to two horses during the warmer months, and according to the owner they love their new home!